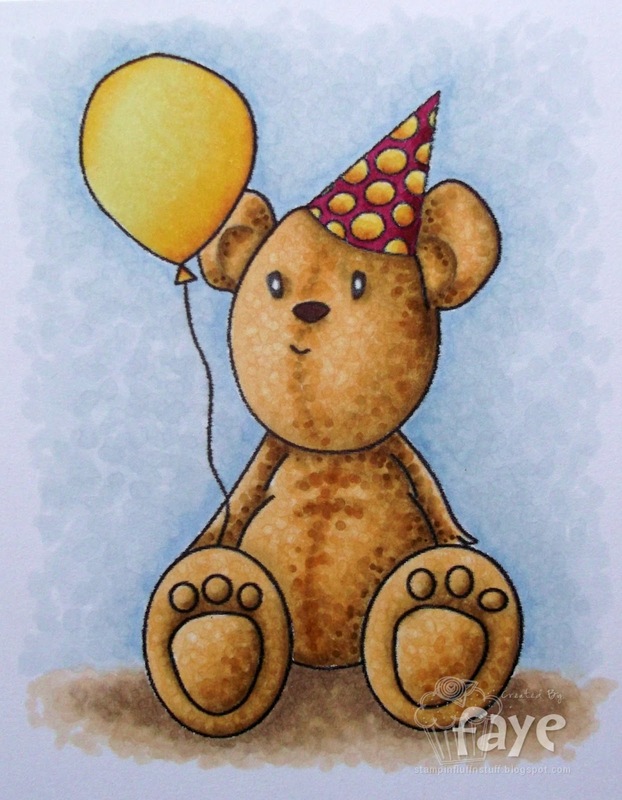 A quicky from me today, as we have quite a full on weekend with birthday parties and visitors and such. But, I'll stop by for long enough to tell you there's a new Challenge at Graph'It Colour Challenge. And this week, we'd like you to use the colours of your Favourite Candy as your inspiration. My favourite sweeties can change as quickly as the weather, but for the purposes of today's card, I'm going with Rhubarb and Custard. I love old fashioned sweet shops, where they weigh your sweets out for you, and give them to you in a paper bag. If I see one, I'll go in one and buy Rhubarb and Custard every time! Mmmm. Not had those for years. Will need to hunt some down. 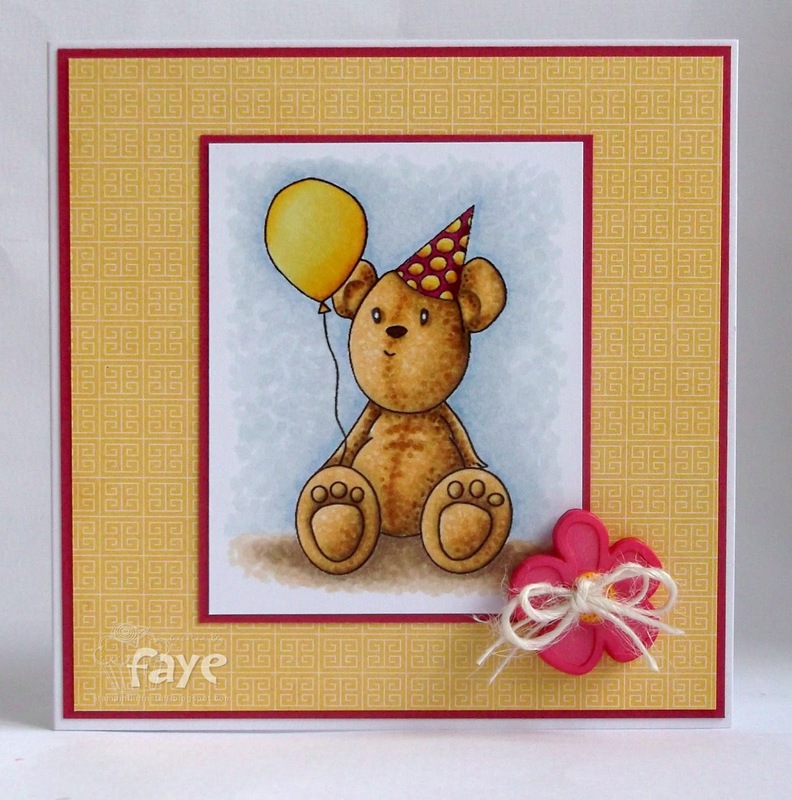 This is gorgeous Faye, I like the colours the sweet image and the flower. So gorgeous, I love that cute image and your colouring is so beautiful. Super sweet card, Faye. Love the adorable bear. Love, love the texture!! wow! Gorgeous!! You've chosen such a great color combination and a sweet image for this clean design. Fantastic coloring! 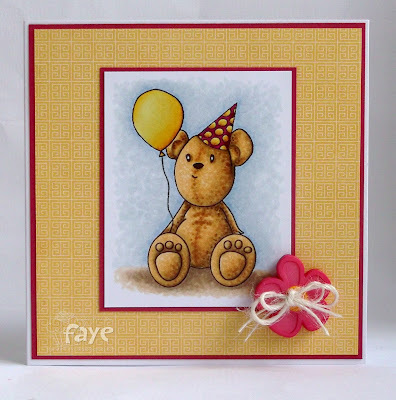 Gorgeous card Faye. Such a sweet bear and fab colouring.